What exactly is a hurricane deductible? 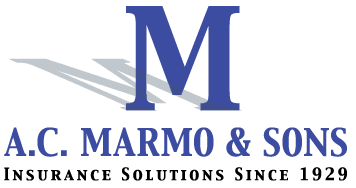 - AC Marmo & Sons, Inc. When it comes to deductibles on your homeowner’s insurance policy, you can basically set them to the amount that suits you and your family. Some people choose a larger deductible to lower their premium each year. The amount you set is completely up to you as long as it falls within the policy parameters. However, there is one occurrence that could change your policy deductible regardless of what limits you set: A hurricane. Considering that we all experienced last year with Superstorm Sandy, we are well aware of what a hurricane is. A hurricane is classified by the National Weather Service to be a very large storm that sustains wind forces of 74 miles per hour for a period of time. Thankfully, last year’s superstorm was downgraded to a tropical storm before it touched ground in Little Egg Harbor, NJ. While it sure felt like a hurricane, thankfully everyone who suffered damage did not have to meet their homeowner’s insurance policy’s hurricane deductible. For the most part, a hurricane deductible is taken by finding a small percentage (usually 5%) of Coverage A- Dwelling on your homeowner’s policy. For example, if your home is worth $400,000 and your hurricane deductible is 5%, you will have to pay $20,000 out of pocket before your homeowner’s insurance will start paying your hurricane damage claim. That could certainly prove to be a lot of money if you need repairs. Hopefully we do not have to go through any more hurricanes any time soon, but if we do it is always good to be prepared for the worst. Give us a call to talk more about your hurricane deductible and how it affects your homeowner’s insurance policy. We can help figure out what type of deductible you would have to pay if a hurricane caused damage to your home. Bus safety for back to school time Sexual Harassment — Can Put You Out of Business!! !